Most Triangle-area buyers and sellers think that the purpose of a real estate appraisal is to determine the real value of the home. In reality, an appraisal is an important tool that banks and other financial institutions use to help them make lending decisions. 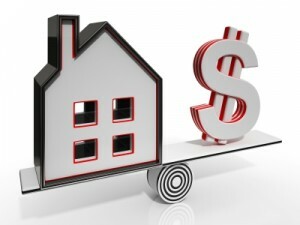 An appraisal justifies the purchase price of a home, so a low appraisal can have an effect on the entire transaction. This situation can sometimes result in big problems for buyers and sellers alike. Appraisers sometimes err on the safe side: Appraisers are held to a high professional standard and can be held accountable for their opinion of a home’s value. In the case of foreclosure, the appraiser could be held liable by the bank for over-appreciation. To avoid this risk, appraisers may be conservative with their figures, sometimes leading to a too-low appraisal. Appraisals can contain mistakes: Sometimes, an appraisal that’s too low to meet the loan requirements can be the result of a simple error. Incorrect measurements or a transposed figure during data entry are seemingly benign errors that can cost home buyers their loan. Appraisers and agents work together: It’s usually in everyone’s best interest that a given transaction moves forward, and problems with the loan can be disconcerting for everyone. Many times, a good appraiser will contact a home’s listing agent (who knows the property inside and out) if the appraisal is low. Together, they can verify measurements, make sure every detail is listed, discuss comps, and otherwise work together to get the value up. In order for a financial institution to proceed with a buyer’s loan, the home’s appraised value must meet or exceed the agreed-upon purchase price. When this doesn’t occur, the entire transaction is at risk. An experienced agent is a lifesaver when it comes to challenging low appraisals, or any of the other complex issues involved in buying and selling real estate. Need assistance navigating the buying or selling process? Flat Fee Realty is here to help. Give us a call with your questions today!